RALEIGH-DURHAM INTERNATIONAL -- All United Continental flights in the U.S. were grounded temporarily Wednesday due to computer problems. Less than two hours later, United requested the Federal Aviation Administration lift the ground stop order, FAA spokesman Lynn Lunsford said. A passenger in San Francisco told The Associated Press around 10 a.m. Eastern that passengers were being asked to board planes again. United cited "network connectivity" for the problems. It is the second time in two months that the carrier has been hit by major technical issues. 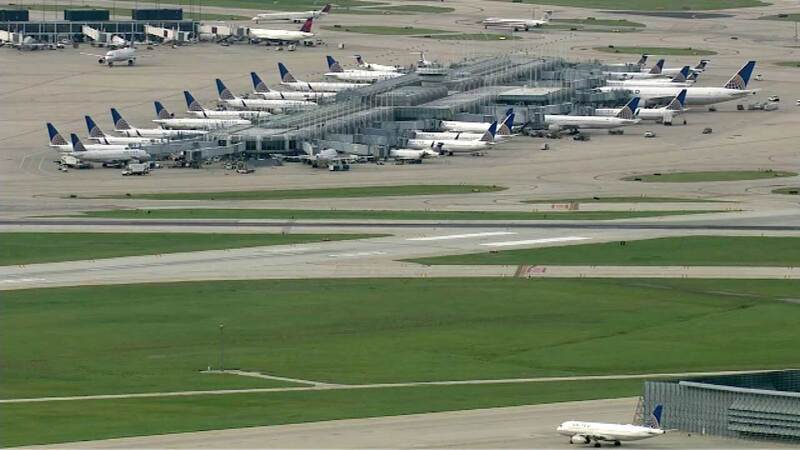 The Chicago company had halted all takeoffs in the U.S. on June 2 due to what the airline described as computer automation issues. The Federal Aviation Administration used the same language in its notice about the outage Wednesday. United suffered a series of computer problems in 2012 after switching to a passenger information computer system previously used by merger partner Continental Airlines. In each case, hundreds of flights were delayed. A number of high-paying business travelers defected to other airlines and revenue dropped. "We don't know everything behind this morning's issues yet, but today's incident underscores the sense that something is very wrong at United," said Gary Leff, co-founder of frequent-flier website MilePoint. Shares of United Continental Holdings Inc. declined 76 cents to $53.55 in early morning trading.